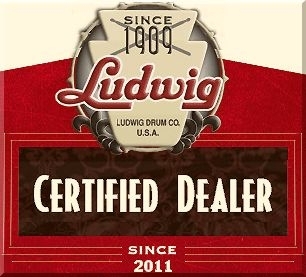 DRUM – Ludwig, Tama, Drum Workshop, PDP, Yamaha, Sonor, Mapex, and Pearl. CYMBALS – Zildjian, Meinl, Paiste, Sabian, Dream, and Wuhan. STICKS & MALLETS – Vic Firth, Vader, Zildjian, Pro Mark, Regal Tip, Head Hunters, Yamaha, and Smith. HEADS – Remo, Evans, Aquarian, Ludwig, and Attack. 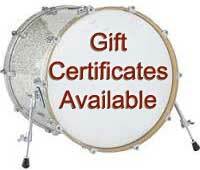 PERCUSSION – We offer a wide variety of hand percussion instruments by LP, Toca, Meinl, and Kopf. 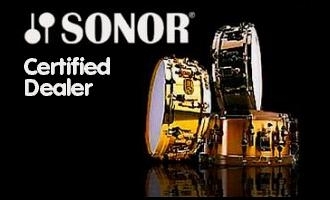 HARDWARE – We carry hardware by Gibraltar, DW, Tama, Yamaha, Ludwig and Pearl. We also stock a large quantity of Gibraltar and Ludwig replacement parts. New products are added to our inventory continuously. AUDIO – Alto PA speakers, Yamaha and Alesis electronic drums.